The Opening Ceremony and press conference of the 6th Vita Green Cycling for Health Marathon Challenge 2017 was held at Royal Plaza Hotel. Vita Green Charitable Foundation invited Under Secretary for Home Affairs HKSAR, Ms. Florence Hui as an officiating guest. 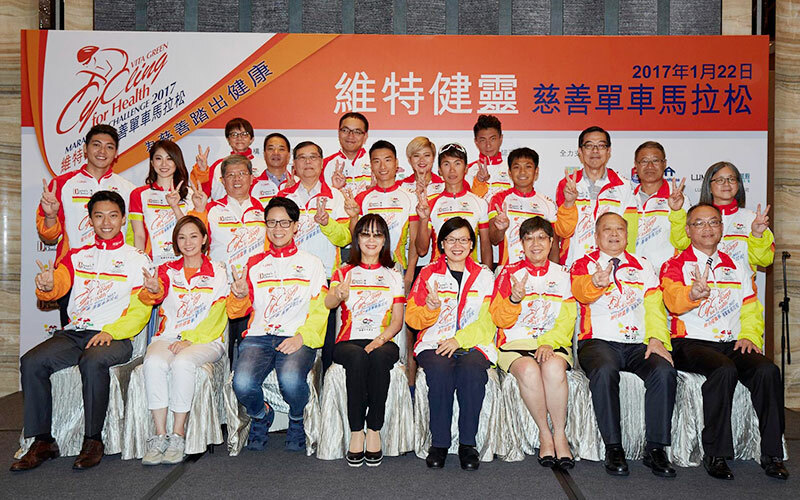 Vice president of marathon’s preparation committee Mr. Stephen Chan Chi Wan and Cycling Ambassador Teresa Mo were also present in the press conference. The atmosphere was lively and joyous. We were very honored to have 2016 Rio Summer Olympic cross country mountain biking Hong Kong representative Mr. Chan Chun Hing and 2012 London Olympic cycling Hong Kong representative Mr. Choi Ki Ho to be there and take part in the opening ceremony. 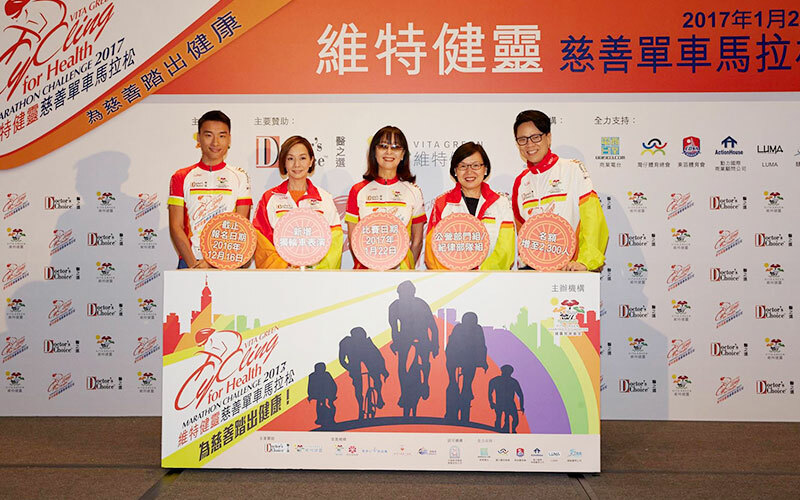 Famous artists Endy Chow, Sukie Shek, Tang Siu Hau and Sheldon Lo fully supported the cycling marathon, and leading a healthy lifestyle through cycling. This year, the number participants rose to 2,300. To make this event more entertaining, there was a unicycle performance, encouraging everyone to have a great time!